Regina S. Axelrod is professor of political science. She has published numerous articles and books on environmental and energy policy in the United States, the European Union and Central and Eastern Europe, including Environment, Energy, Public Policy: Toward and Rational Future, Conflict between Energy and Urban Environment, and Global Environment: Institutions, Law and Policy. She has lectured at Charles University, Prague, the University of Economics, Prague and the University of Budapest in addition to the Woodrow Wilson International Center for Scholars, on nuclear power and the transition to democracy. She received a National Science Foundation grant to support her research. She also has been the recipient of grants from the Ford Foundation, Environmental Protection Agency, Department of Energy, the National Research Council, the Soros Foundation, the S & H Foundation and the Center for European Studies, New York University. She has been an invited participant to Wilton Park conferences focussed on European Union issues, in Prague, Malta, Istanbul and Madrid. She is an academic associate of the Atlantic Council and past president of the New York Political Science Association. She is the recipient of the 2004 Distinguished Alumni Award presented by the Political Science Program, Graduate Center, City University of New York. In October 2007, she received a Fulbright Senior Specialist award to lecture at the University of Economics, Prague. Research on nuclear energy; Fulbright Specialist Award 2007. Regina S. Axelrod and Stacy VanDeveer (2014). The Global Environment: Institutions, Law and Policy, 4th edition,. Washington, D.C.: Outstanding Academic Title by CHOICE, Congressional Quarterly. Regina S. Axelrod, Stacy VanDeveer and David Downie (2011). The Global Environment: Insitutions, law and Polic, 3rd Edition, Oustanding Academic Title by CHOICE. DC: Congressional Quarterly. Regina S. Axelrod (2014). Democracy and the Global Nuclear Renaissance: From the Czech Republic to Fukushima. In Regina S. Axelrod and Stacy Vandeveer (Eds.). The Global Environment: Insitutions, Law and Policy, 4th ed. (pp. 305-329). Washington, D.C.: Congressional Quarterly. Regina S. Axelrod and Miranda Scheurs (2014). European Policy Making in the European Union. In Regina S. Axelrod and Stacy Vandeveer (Eds.). The Global Environment: Insitutions, Law and Policy, 4th ed. (pp. 213-238). Washington, D.C.: Congressional Quarterly. Regina S. Axelrod and Stacy Vandeveer (2014). Introduction: Governing the Global Environment. In Regina S. Axelrod and Stacy Vandeveer (Eds.). The Global Environment: Insitutions, Law and Policy, 4th ed. (pp. 1-25). Washington, D.C.: Congressional Quarterly. Regina Axelrod (2008), “Reflections on the Writings of President Vaclav Klaus,”. LISTY, XXXVIII, 3, 105-107. Regina Axelrod (2007), “Why Nuclear Energy Is Not the Answer”. International Relations and Security Network, CaseStudy Series, www.isn.ethz. Regina Axelrod (2006, Summer), “The European Commission and Member States: Conflict over Nuclear Safety”. Perspectives: The Central European Review of International Affairs, 26, 5-22. Regina Axelrod (2000, Winter), “Temelin, Nuclear Power and Building Democracy”. Perspectives: The Central European Review of International Affairs, 15, 31-44. Regina Axelrod (1999), "Evropská unie: politika zivotní". Pohledy (translated into Czech), 21-25. Regina Axelrod (1999), "The European Union: An Environmental Update". Inernational Studies Notes, XXIV,2, 31-38. Regina S. Axelrod (2019). Chair & Discussant, Innovative Teaching of Global Environmental Governance. International Studies Association. Toronto, Canada. Regina S. Axelrod (2016). Discussant, Water Security: 3rd Annual Fred Friendly Seminar in International Afffairs & Foreign Policy. In International Studies Association. Atlanta, Ga.
Regina S. Axelrod (2016). Roundtable on Innovative Teaching of Global Environmental Governance and Policy, Chair. In International Studies Association. Atlanta, Ga.
Panel, "North/South Relations in Climate Change Negotiations: Old Refrains or New Strains?" (2015). Discussant. International Studies Association. New Orleans, LA. Regina S. Axelrod (2014). The Czech Nuclear Renaissance. In International Studies Association. Toronto, Canada. Regina S. Axelrod (2013). Nuclear and Ethics. In International Studies Association, Discussant. San Francisco, CA. Panel, ""Law and Regulation in Federal and Multi-level Systems" (2011). chair and discussant. In European Union Studies Association. Boston, MA. 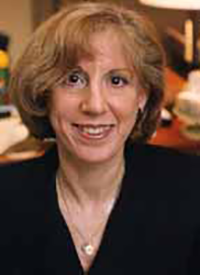 Regina S. Axelrod (2014, March). Agenda Setting. University of Higher Economics, Prague, Czech Republic. Regina S. Axelrod (2012, October). Environmental Policy in the Czech Republic. University of Higher Economics, Prague, Czech Republic. regina s. axelrod (2011, November). What's wrong with nuclear energy: Temelin and the U.S. Czech Institute of International Relations, Prague. Manuscript review for "Working Papers of the Faculty of International Relations, University of Higher Economics, Prague. Choice Outstanding Academic Title for "The Global Environment: Institutions, Law, and Policy," eds., Regina S. Axelrod, Stacy D. Van Deveer, and Leonard Downie. Sage Publishers awarded Professor Axelrod the Sage Cornerstone Author Award for her co-edited book "The Global Environment: Institutions, Law, and Policy," (2015)..."We'd like to honor all of the hard work, first-rate scholarship, and quality writing that has gone into your book over the years, making it a mainstay in the discipline."